Kyle joined Ellis, Li & McKinstry as a summer intern in 1995, becoming a partner in the litigation section in 2004. Early in his practice, Kyle benefitted from broad opportunities and exceptional mentorship. Over the past 20 years, he has successfully handled matters related to Real Estate, Construction, Securities Fraud, Trust and Probate, Partnership Dissolution, White Collar Criminal Defense, Employment, Intellectual Property, and Bankruptcy. 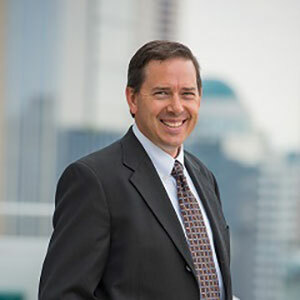 Kyle’s practice currently focuses on complex commercial disputes, trust and estate litigation, real estate, and construction. Kyle also advises clients on their transactional needs related to construction and real estate. Kyle is a trial lawyer who is zealous to defend the rights of businesses and individuals in every available forum for conflict resolution. His passion is to learn his clients’ story, meet them where they are, and partner with them to accomplish their objectives. Kyle has been married to his dearest friend Sandy since 1992. Together they have four sons. They love to ski, ride motocross in the mountains, hike, dance, and build things together. For years, Kyle enjoyed coaching Little League baseball and youth soccer. Now he just gets to umpire from time to time, but hopes grandkids may someday give him the chance to coach again. He has been honored to serve with Seattle’s Union Gospel Mission legal aid clinic and the boards of Northshore Community Church and Northshore Little League.